I’ve never been a fan of bustling towns, the type that’s overflowing with tourists, every second house is a hotel or B&B, and the price of anything even remotely ethnic is 1000 percent more expensive than it cost to make. It doesn’t matter where in the world they are, they’re just not my cup of tea. 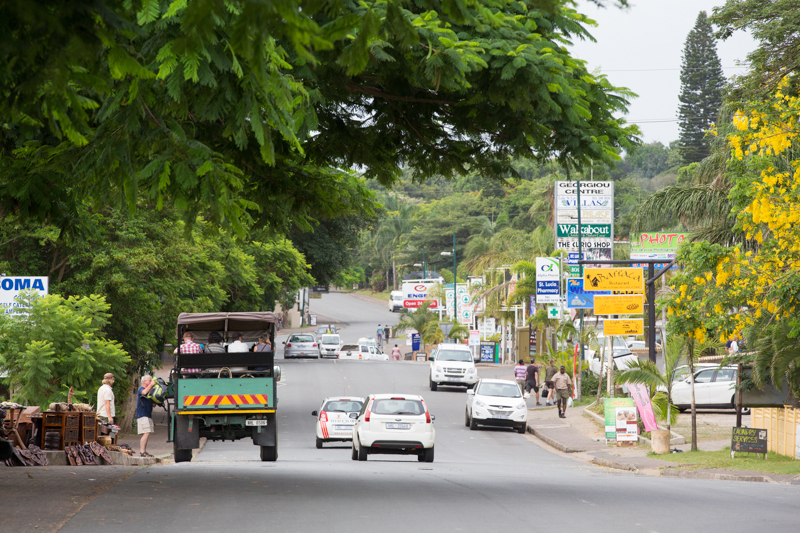 So you can imagine my surprise when I found myself enjoying my time in St Lucia town in South Africa’s Zululand, a popular tourist destination well known for its year-round bustle. 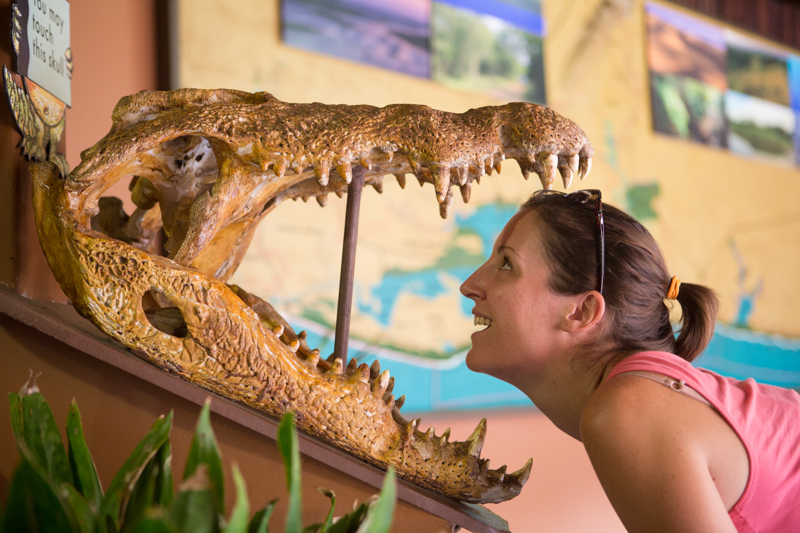 Don’t leave town before popping in at the local Crocodile Centre. The actual population of St Lucia can’t be more than 1000 – I’m willing to bet there are more crocodiles and hippos than full-time residents – and just about every one of them is competing for each busload of wide-eyed, multi-national visitors that cross the bridge into town numerous times every day. Every street corner is a haystack of signs pointing out accommodation options, and between hotels, motels, and B&Bs there’s an overabundance of tour operators, restaurants, and the inevitable overpriced craft shops (though, to be fair, not as many as there could be). Most of the action takes place in McKenzie Street right on the estuary. The late afternoon boat cruise is the best for photography. The Indian Ocean laps the eastern shore, bringing with it the fresh ocean air and the chance of spotting whales, dolphins, and (if you book the tour) endangered sea turtles. And, as if the ocean and the estuary aren’t enough, there’s also Cape Vidal, part of the Isimangaliso Wetland Park, a short drive north of town, which adds a bush element to a pocket of ecological diversity that’s already bursting at the seams. 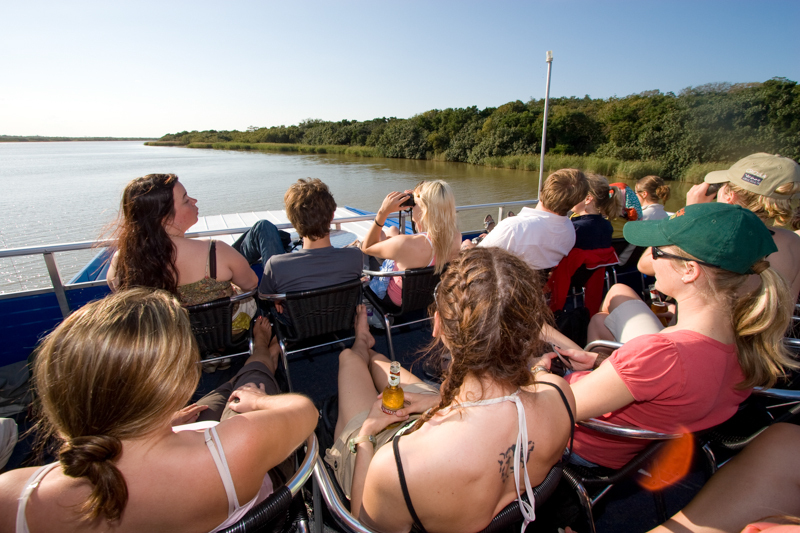 You’re virtually guaranteed to see hippos on the boat cruise. The estuary, the ocean, or the wilderness area alone would be sufficient to make St Lucia a popular destination, but it’s the combination of all three that has turned this little town into an international tourist magnet – and rightly so. It’s an unbelievably gorgeous slice of South Africa, with incredible biodiversity few other worldwide destinations could compete with. 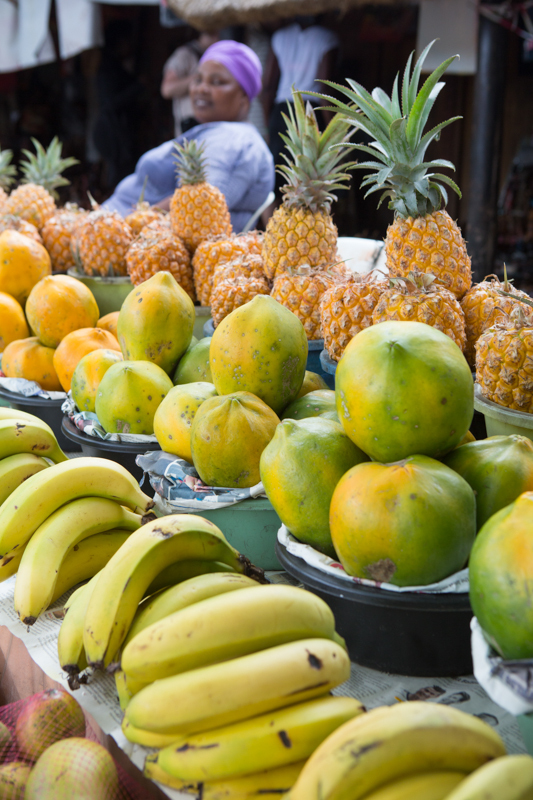 Buy your fresh fruit at the top of McKenzie Street. I may never be the biggest fan of bustling tourist towns, but considering where it is and what its got to show off, St Lucia deserves all the attention it can get. 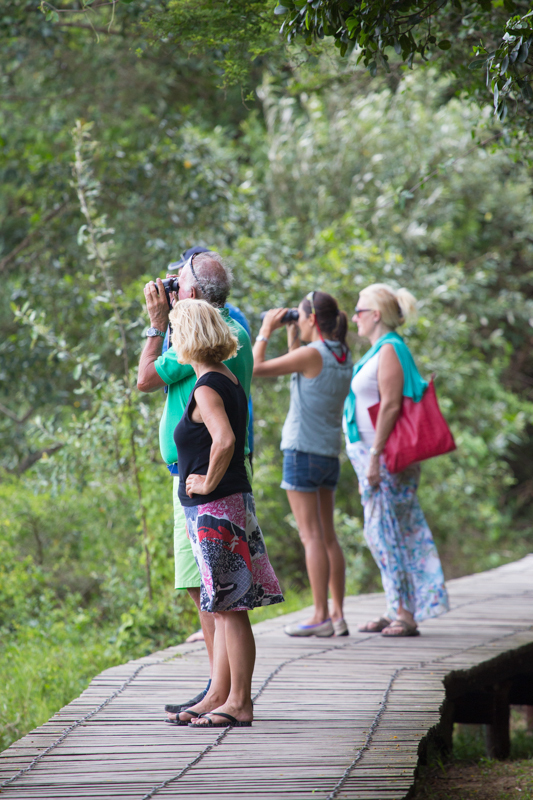 The walkway next to Sugarloaf campsite is great for bird watching. It would be a crime to leave your camera at home when visiting St Lucia – there’s a lot to photograph in and around town. 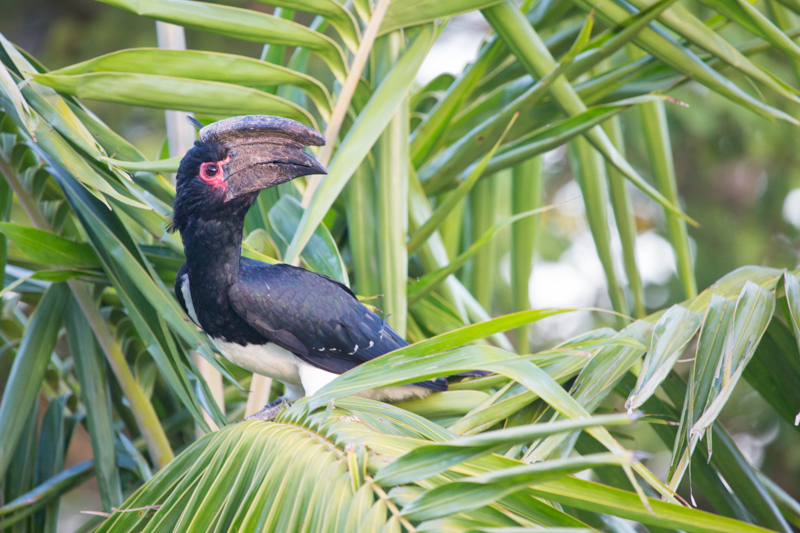 Bird watchers should take a walk through Sugarloaf campsite where forest specials such as red-capped robin-chats and trumpeter hornbills are common. 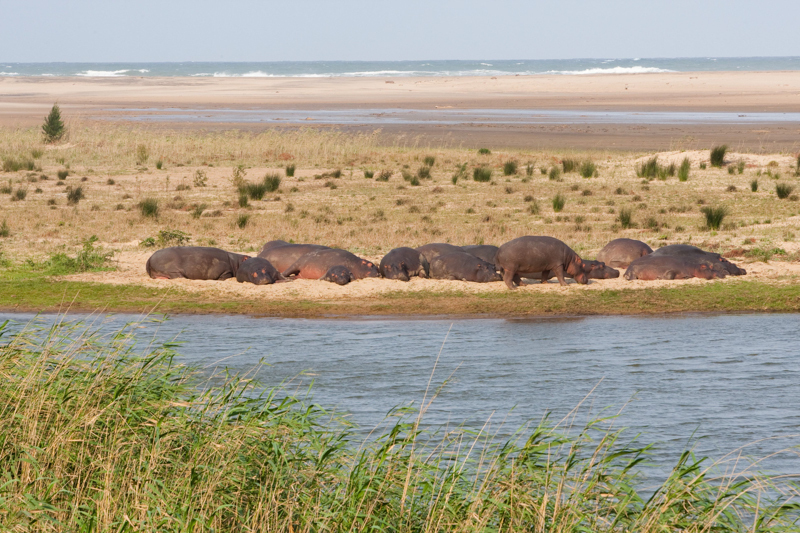 From the short walkway next to the campsite you stand a chance to photograph hippos on the beach! 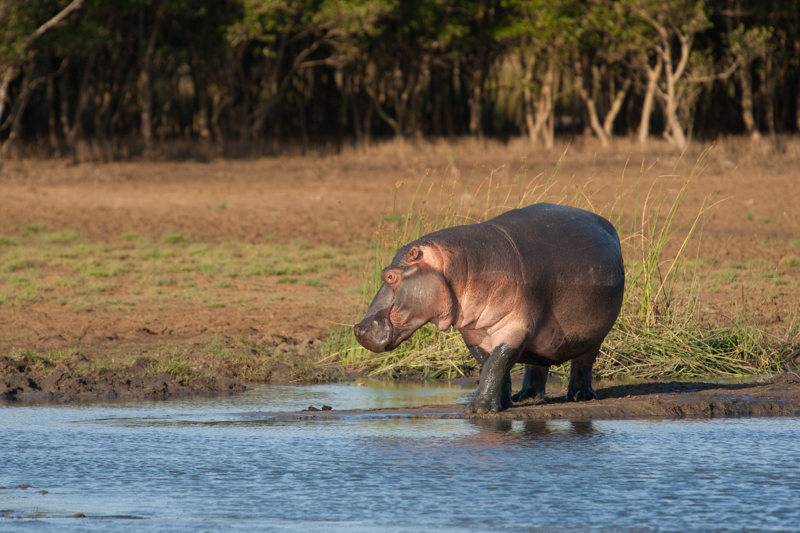 A late afternoon boat cruise on the estuary also gives you great opportunities to photograph hippos and a variety of water birds. If it’s big animals you’re after, take an early morning game drive to Cape Vidal – leopards and black rhinos are seen from time to time. There are not many places in the world where you can see hippos on the beach! Best time: November and December are the busiest months, and January and February are the most uncomfortable, but the rest of the year is mostly mild and not too crowded. How to get there? 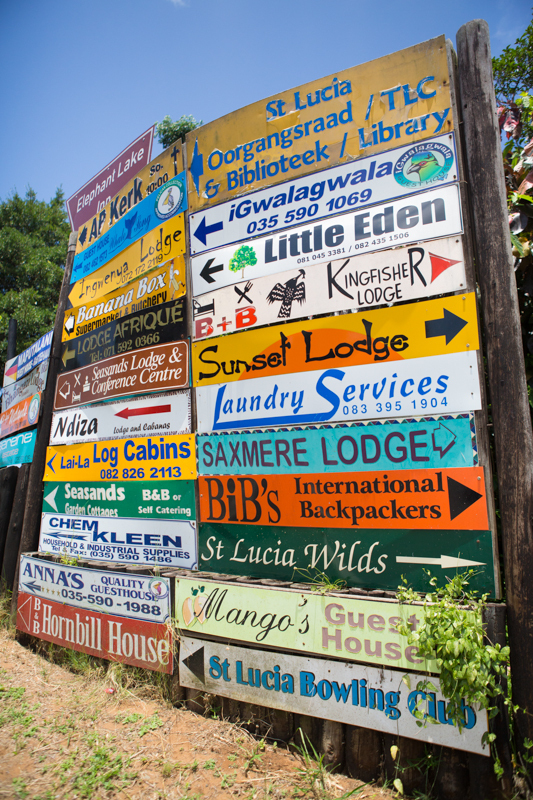 St Lucia is approximately 240 km north of Durban via the N2 highway and R618. 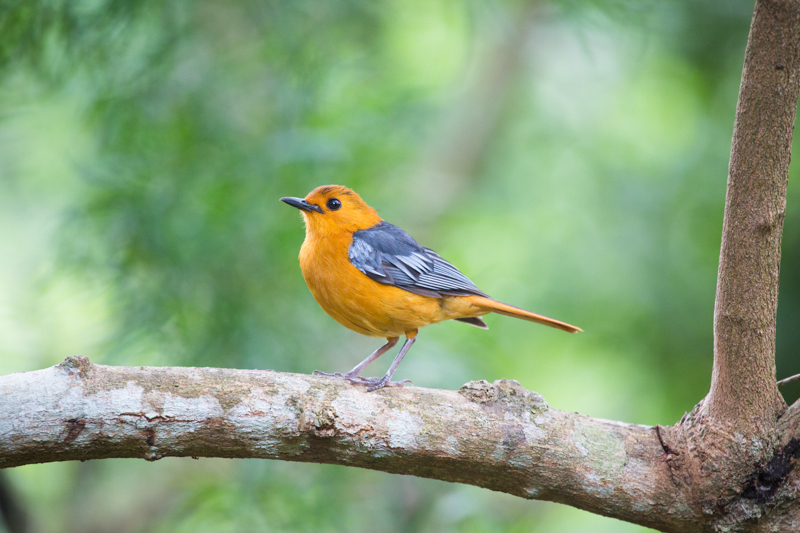 A shy red-capped robin-chat in Sugarloaf Campsite. There are countless accommodation options in town. 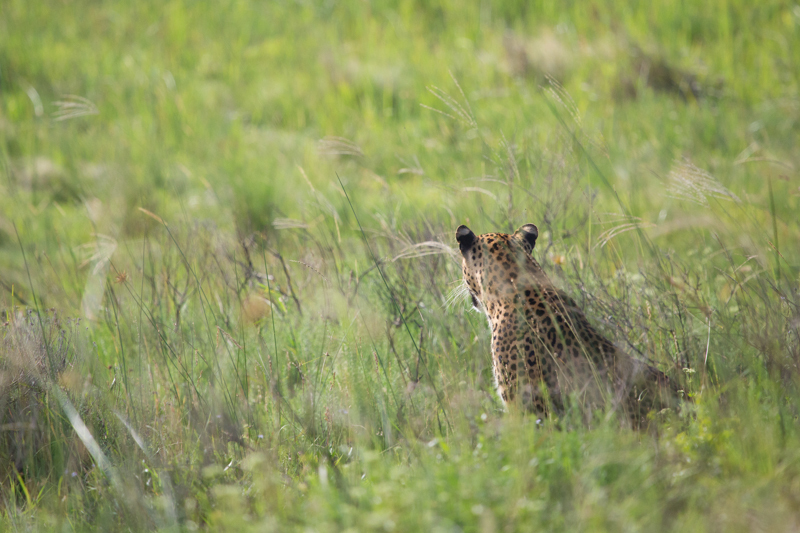 If you’re lucky, you might spot a leopard between St Lucia and Cape Vidal. Trumpeter hornbills are commonly seen in St Lucia town.